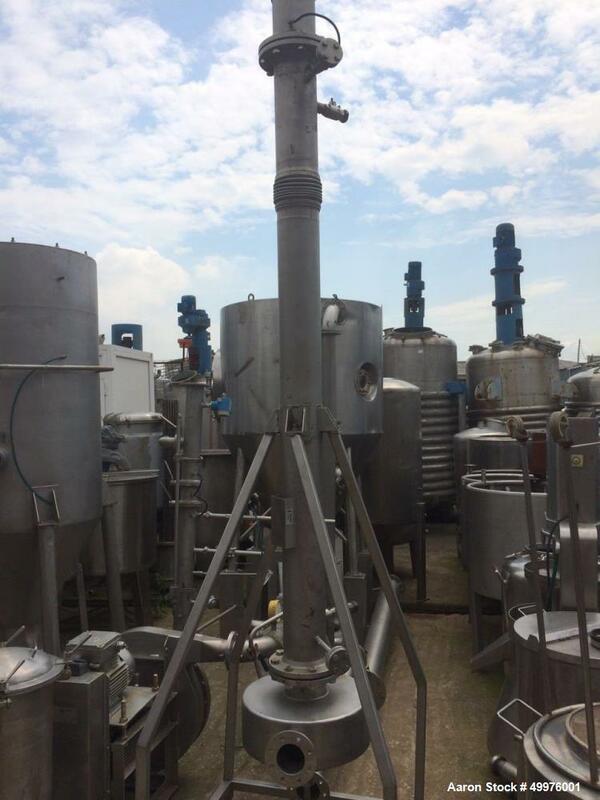 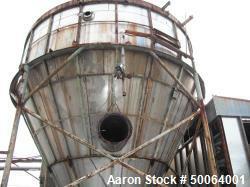 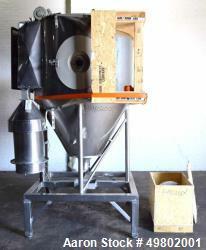 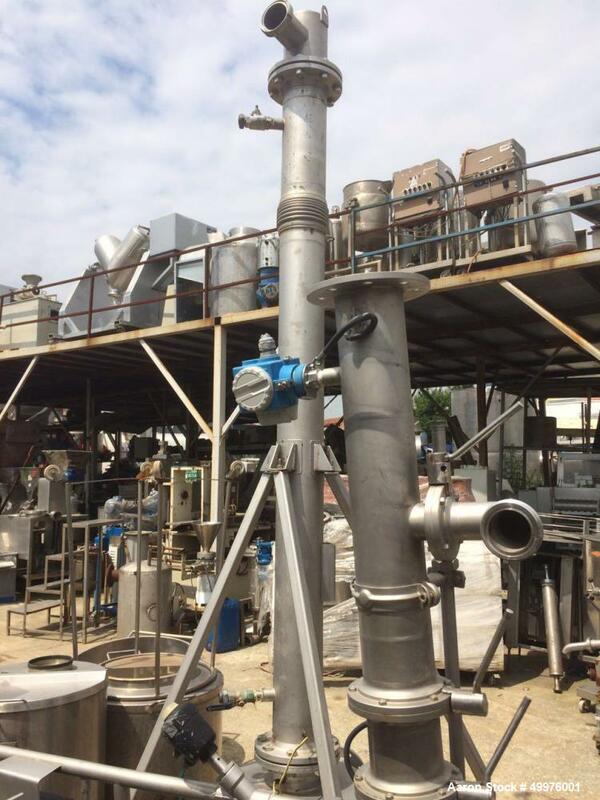 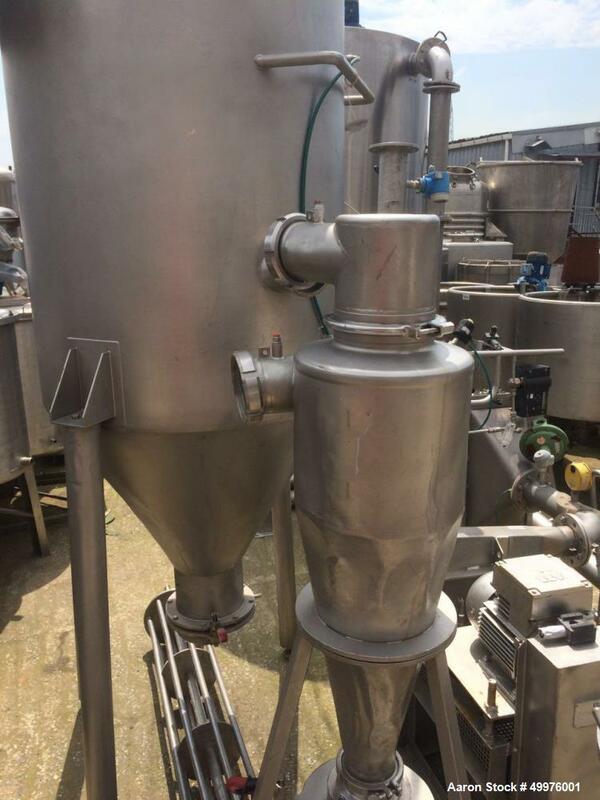 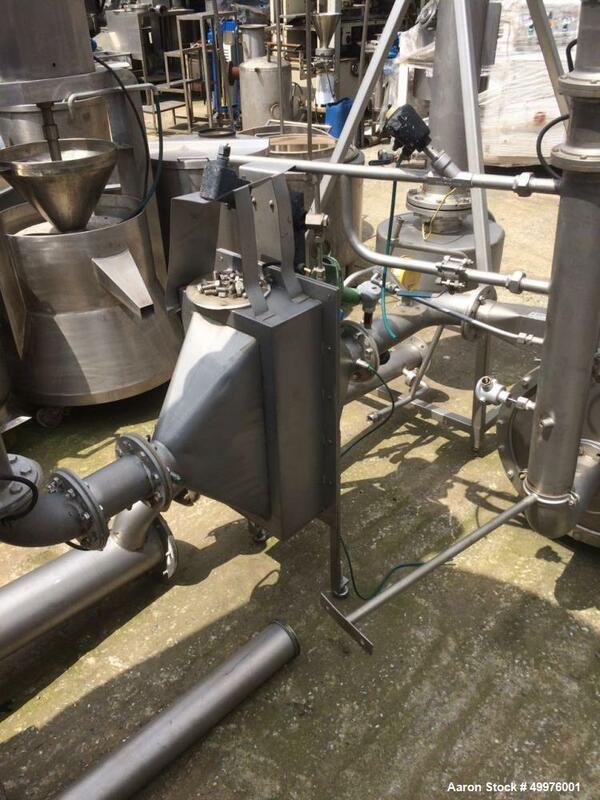 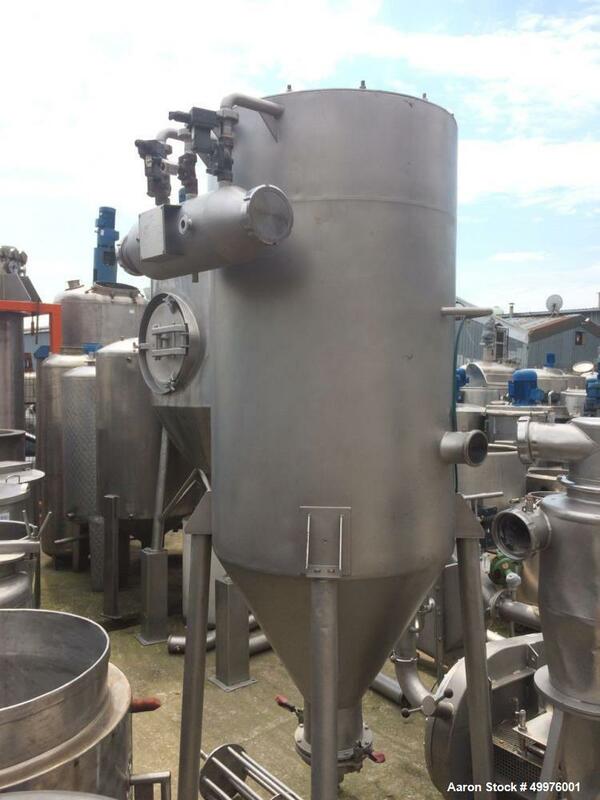 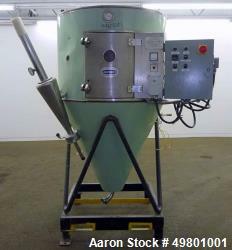 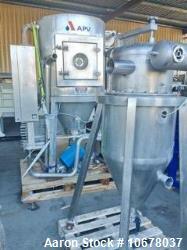 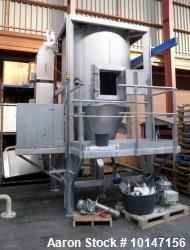 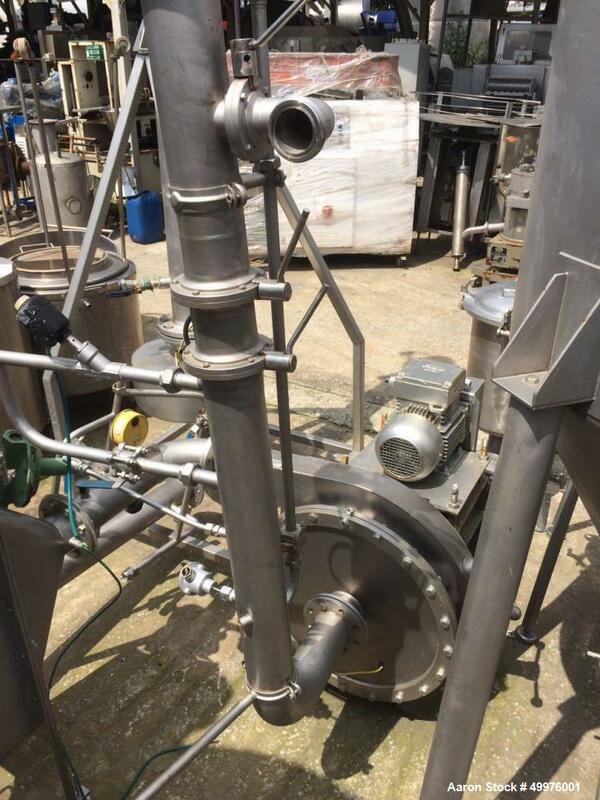 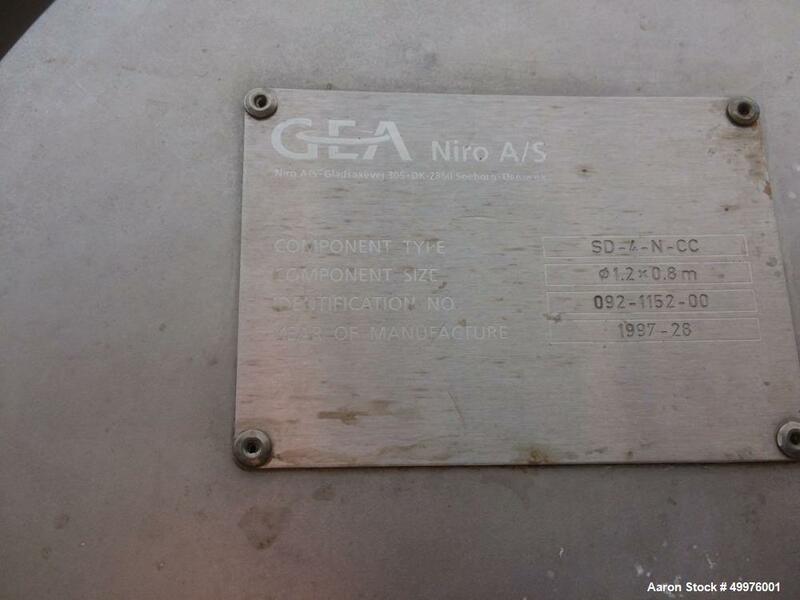 Used- GEA Niro Pilot Spray Drying Plant, Model SD-4-N-CC. 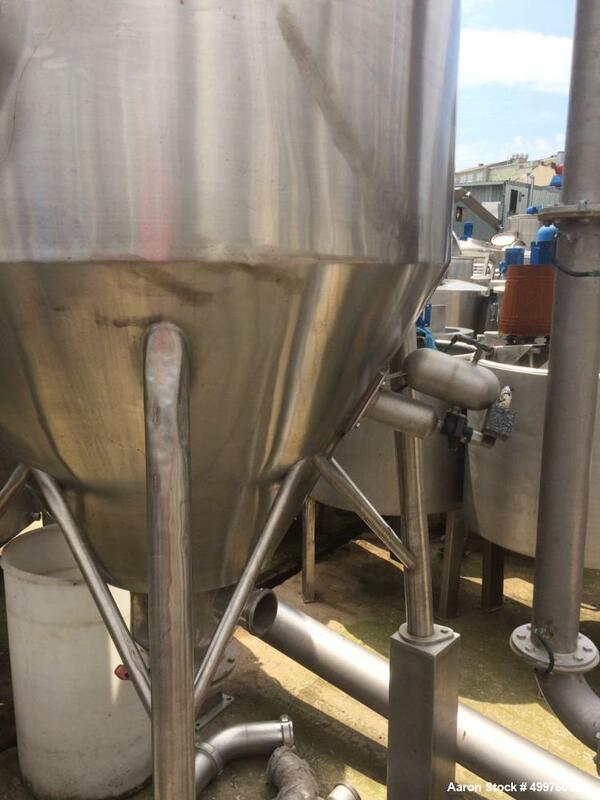 316 stainless steel construction on product contact parts. 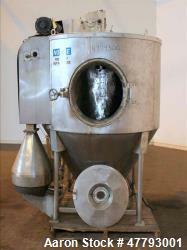 46.8" (1200 mm) diameter x 31.2" (800 mm) straight side x 60-degree cone bottom chamber. 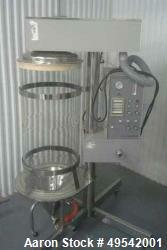 Inside mirror interior polish. 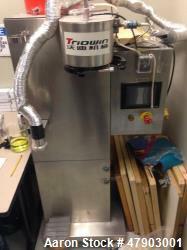 Electrically heated with incl. 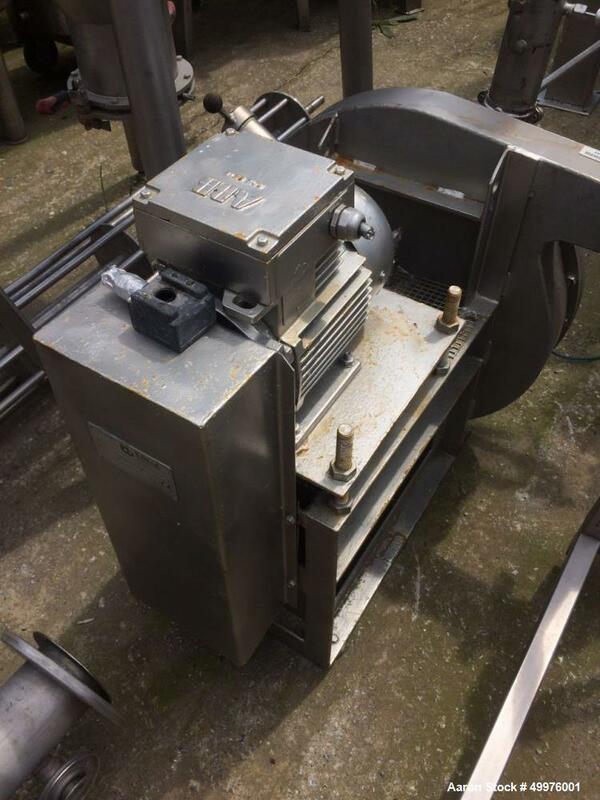 heater nominally rated 122 degree F (50 degree C) maximum inlet temperature at 105 psi (7 bar) and full vacuum (-1). 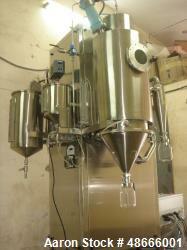 Includes GEA Niro centrifugal rotary atomizer. 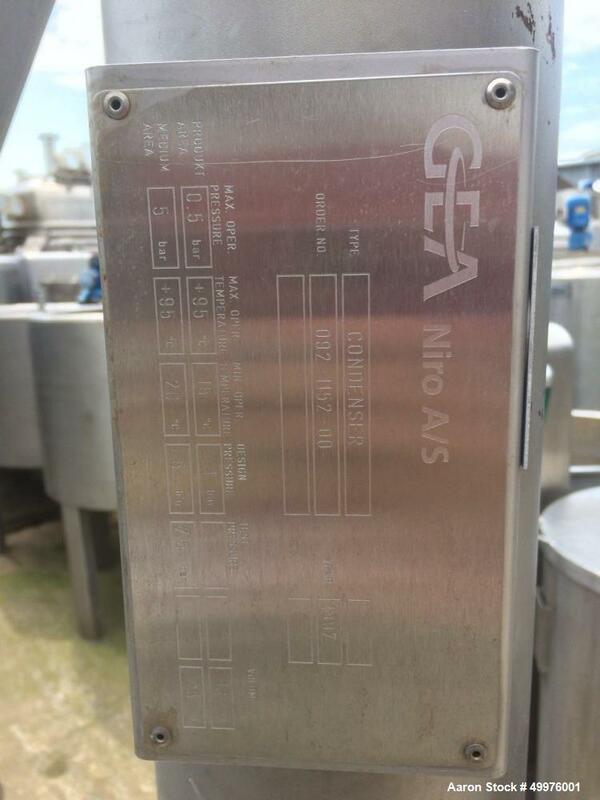 On 4 legs with control panel, (1) GEA Niro vacuum tank, on 4 legs. 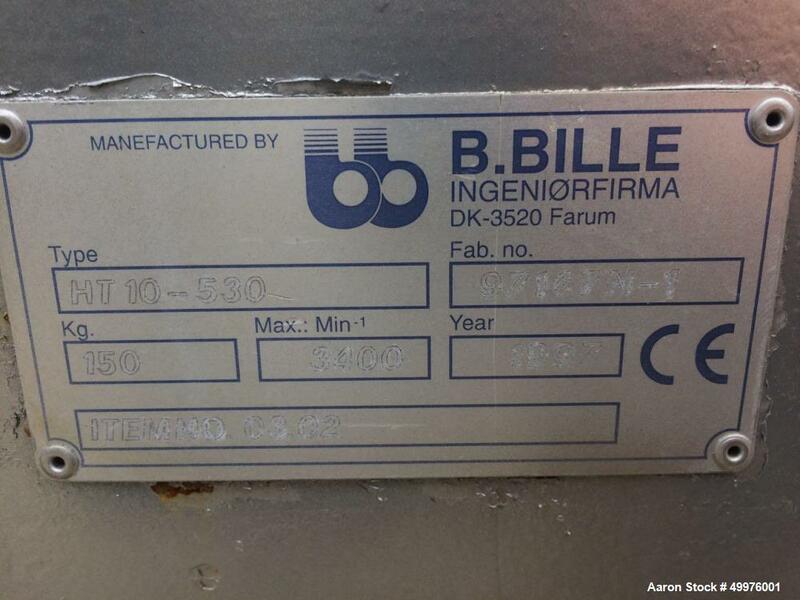 (1) B. Bille Blower, Type HT 1-0-350, 3400 rpm. 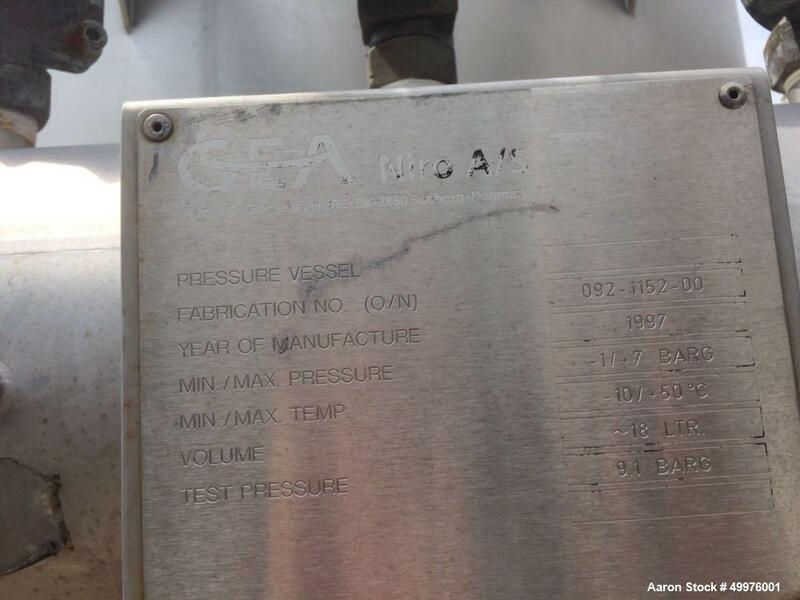 All equipment is built year 1997. 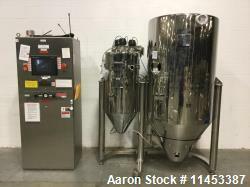 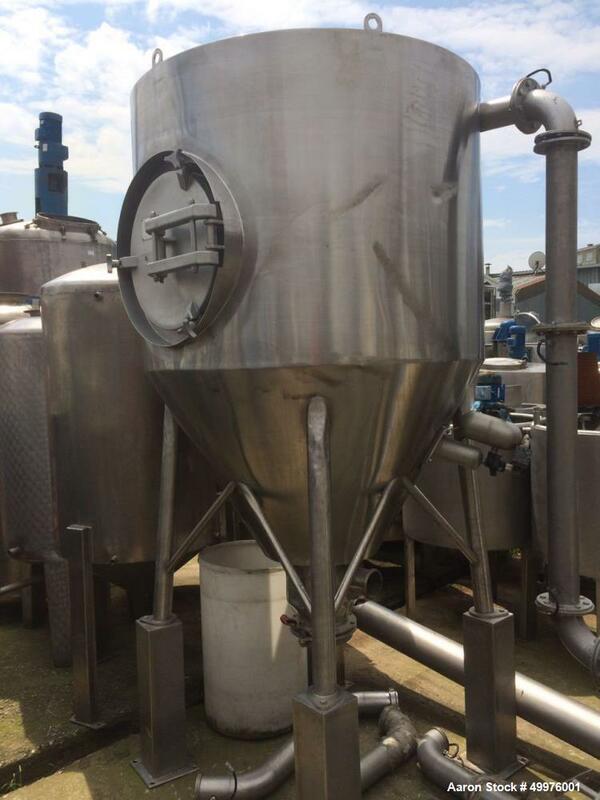 Last used in a yeast extraction application.